Steve Mitchell, Justin Campbell, Ben Erikson, and Matt Dell, better known as synth-pop band CROATIA, draw on the music of the '80s for their inspiration. 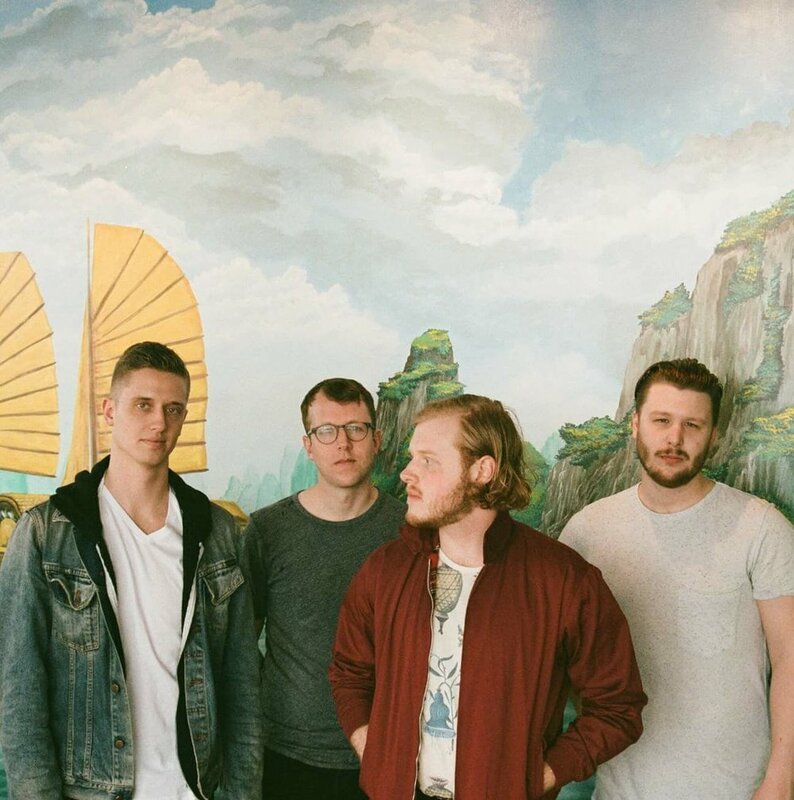 A dash of rock, a dash of electronic, and a heaping scoop of pop, all paired together with personal and relatable storytelling, make this British Columbia-based group a band to keep on your radar. Fresh off the release of their new single "Make Circles," CROATIA took some time to curate a playlist of songs they love just for Musical Notes Global as they gear up for the release of their new EP this spring. Check it out below. A track that has really stuck with us is Sylvan Esso's "Signal" from their sophomore album released this past year. Their debut was so refreshing and unique with its minimalist analog-electronic sound and folk based vocals and lyricism that were a bit disappointed by the initial single from their new album, which was decidedly more mainstream pop. But after listening front to back, their songwriting shines even brighter in their latest release than their first. "Signal" is by far our favourite, beginning with a disarming upbeat and airy melody which unexpectedly drops into a heavy synth bass groove with layered vocal samples. The track also has a verse that is just as good, if not better than the chorus which is something we always strive for in our own writing. It's so hard to pull off! Motherf****** always skimp on their verse melodies! Sylvan Esso are one of those rare groups that pop sorely needs at the moment, when so many mainstream artists are co-opting minimalistic electronic genres and watering the sounds down so heavily both musically and lyrically. Jo Passed from Vancouver are the most recent Canadian indie band to get signed to a super cool international label (Sub Pop). It's always very exciting when a band from our scene gets recognized internationally and gets the opportunity to share their music with the world. Their first single on Sub Pop, "MDM" is such a cool track—it's a combination of stripped down 80s indie rock combined with some of the most creative psychedelic guitar work I've heard from a Canadian band. I would love to see some studio footage of how that guitar solo was recorded—it's so unique and effective. In the midst of the dissonant guitar work comes short bursts of beautiful atmospheric pop vocals that somehow briefly bury all the chaos so you can breathe. We're really excited for this band—I hope the record does well. It took me a while to get into LCD Soundsystem in the early days. It's not background music, and the irony and humour in their lyrics and themes were hard to pick up on without giving the music my full attention. Thankfully, those days have passed and now LCD Soundsystem are the gold standard for rock/electronic song writing. There is no other modern band who can rock verses that go on for 2-3 minutes like LCD can. The new album American Dream was such a nice surprise—it's as good as any of their work. The single "Tonite" is just perfect and classic LCD Soundsystem—it's essentially a 5 minute build that somehow has verses and choruses without really changing. The lyrics are equally as good as the music—themes that ridicule the arrogant youth the naive, the vain are common for James and it never comes off as arrogant as it appears he's mocking himself as much as anyone else. How many other bands can yell "I sound like my mom!" in the middle of a song.